As consumers of various forms of media, we find ourselves becoming obsessed about or at the very least find ourselves retaining details of the thing we are watching/reading/imbibing etc.. As geeks, we are highly likely to have many memorable things that stick in the mind and as geeks are more likely to obsess over them! As a dedicated watcher of a wide variety of media, including a whole lot of TV, I end up remembering things and then recognising people as they reappear in other shows, or if there was a reference to something else. Quite often, these can be esoteric, but are rewarding when noticed! I love ER. It was a great show, lasting well, even over the massive span that was 15 seasons! 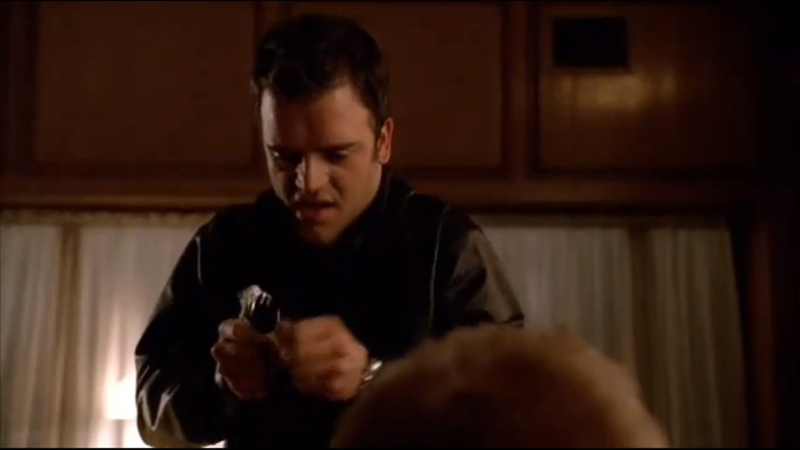 The reason this episode is so memorable is basically down to the death of Dr Robert ‘ Rocket’ Romano. Now, it is not just any death, where a character leaves a show off screen, it is a ridiculous death full of irony and leaves you thinking ‘now they’re taking the piss…’. Somehow, it works though! Probably, again, due to the writing. 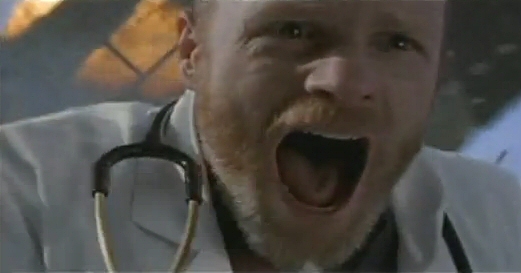 If people aren’t aware of ER history, let this be a spoiler warning! Anyhoo, spoiler alert done, Dr Romano is an arrogant senior surgeon, who at the start of Season 9 has his arm severed by a helicopter rotor and throughout the next season and a half they deal with the issues he now faces, as he can no longer operate. Fast forward to S10E08 and Romano is still suffering with PTSD type symptoms and when he has to go to the helipad in a scene, he can’t handle it and so rushes out the front of the building to get some air. What do the writers do? they crash another helicopter, which promptly lands on him. As an aside concerning ‘Raising the Bar’, I do remember thinking ‘she was in Raising the Bar!’, when Brea Grant first appeared on Heroes. 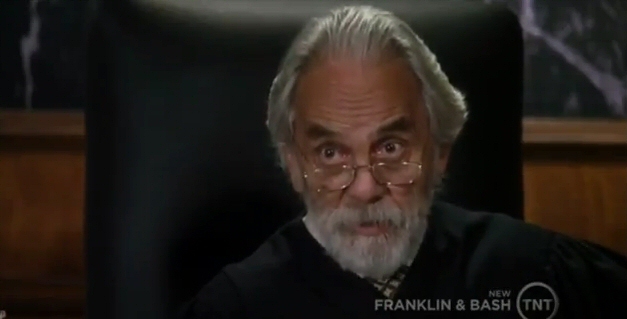 Franklin and Bash, although very recent, has already given us a couple of nice geeky references/connections. 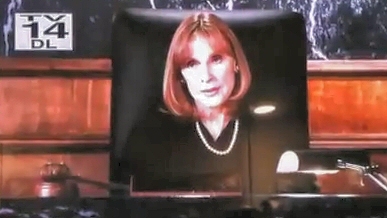 The second is both a recognition moment and a geeky reference because it sees a judge, played by Gates McFadden on the bench in front of Stanton Infeld, played by Malcolm McDowell. Anyone familiar with Star Trek films will know they have worked together before – McFadden as Dr Beverley Crusher and McDowell as Dr Tolian Soran in the Star Trek film Generations. These are just the tip of the iceberg though, and almost every week, geeks will be exclaiming, ‘oh, that’s..’ about any number of actors such as Tony Todd, Max Grodenchik, Jessy Schram, Brad Dourif, Tracy Middendorf, or… the list is endless! Somehow we just remember and/or notice this stuff! This entry was posted on Monday, August 8th, 2011 at 3:45 AM	and tagged with Alias, ER, Firefly, Franklin and Bash, Gates McFadden, Jeff Lewis, Kevin Weisman, Mal Reynolds, Malcolm McDowell, Marshall Flinkman, Nathan Fillion, Raising the Bar, Romano, Slackwagon, Space Cowboy, Spork, Tommy Chong, Vork and posted in Cool Stuff, Rant/Rave/Ramble, TV, Web videos. You can follow any responses to this entry through the RSS 2.0 feed. « Level up! Lev…level up! I’m glad it’s not just me that does this! Usually, whenever I cry out “That’s so-and-so from so-and-so!” all I get is strange looks. Love the Castle/Firefly reference. I really need to watch more of that programme. Castle is really good! 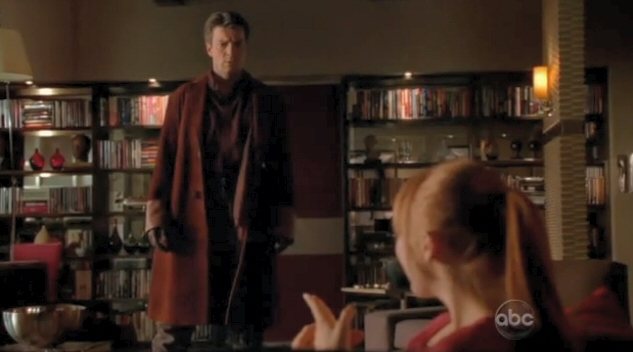 Well worth your time, as Nathan Fillion is a class act as per usual. His Twitter stream is pretty amazing, and he’s not shy of sharing with the fans via it!